As computer sales overall have dropped sharply in recent years, Apple(s AAPL) has put most of its attention on the source of its growth: mobile products. And its main focus on chips has transitioned to the kind that go inside its smartphones and tablets. 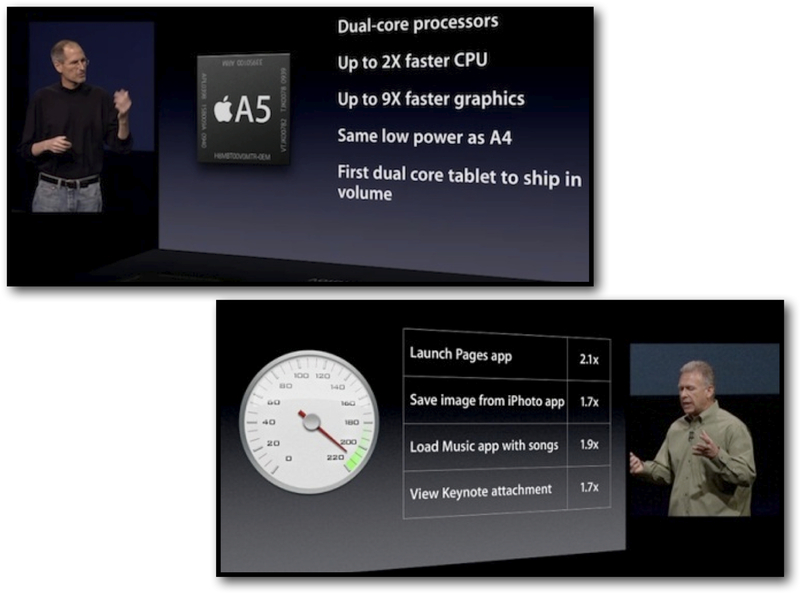 Apple has spent a lot of time and money optimizing iPhone and iPad chips for speed and battery life. It still makes computers, but the focus is mostly on laptops, and making them fast, but also optimizing for weight, display quality and battery life. Meanwhile the company has let its workhorse, the Mac Pro, lapse. With what most perceived as a minor update in 2012, the Mac Pro had gone two years prior to that before receiving a meaningful upgrade. Still, Apple has a loyal following among Mac users looking for power. Apple CEO Tim Cook stated last year that Apple is working on “something great” in reference to the Mac Pro, and we’re still waiting for that. While things are not quite what they used to be, the company does still have a shot at impressing its seemingly forgotten Mac Pro customers by putting the power back into its Macs. The YouTube ID of 89Y8bjVEZ8E?rel=0 is invalid. It was not too long ago when part of the Mac versus PC debate took place in the lab with a series of benchmark tests. Try to find such a comparison since Apple switched from IBM’s PowerPC chipset to Intel; you will be hard pressed to do so. When Apple first introduced the PowerMac G5 we witnessed the worlds first 64-bit desktop computer. Those days are long gone, as Apple has apparently elected to step out of the computer chip speed race. To see how big of a gap we are talking about, we must first look to see how much faster today’s PCs are when compared to the Mac. Comparing Macs to Macs – If you look at Primate Labs, a long standing provider of benchmarking software on the Mac, you can see how each of Apple’s computers stack up against each other. Looking only at this list, one would think that Apple’s older lineup of Mac Pros is still doing quite well being situated at the top of the GeekBench’s performance list. That is until you look outside of Apple’s product line and see how the Intel Xeon X5675 chip that powers the top performing Mac Pro compares to other Intel chips. Intel chipset benchmarks scores – One such benchmark to look at when comparing Intel chip performance is the PassMark CPU Mark. Using EveryMac.com as a guide to figure out what Intel chips are used in each of Apple’s Macs, you will find that the chips being used in today’s Macs are not among the fastest currently available. With a CPU Mark of just 9,382 for the fastest chip available in the Mac Pro, and a score of 9,461 for the fastest iMac chip, Apple comes in at roughly two-thirds the performance of the top rated Intel chip scoring 14,969. Keep in mind that this top performing chip is Intel’s Xeon E5-4650 with a street price around $4,000, for just the chip. A fair comparison to PCs – Looking at the chips used in last years round up of top performing PCs from both PC World and PC Magazine, the Falcon Northwest Mach V and the Maingear Shift Super Stock both used Intel’s Core i7-3960X processor. Since then, each PC company now offers an updated configuration with the slightly faster Intel Core i7-3970X. It is also worth noting that the newer i7-3970X is currently available in Dell’s own Alienware line of desktop computers. Each of these new systems sell at prices comparable to Mac Pros. With a CPU Mark score of 12,976, the i7-3970X is still faster than the CPUs used inside of Apple’s top performing Mac’s. And that’s just the current state of where Macs and PCs in the CPU performance race. The GPU race doesn’t look any better for Apple. What may surprise many is that Apple does in fact support the latest drivers for many of the fastest GPUs on the market in each updated release of OS X. It is just not an option when you build your own Mac in Apple’s online store. You have to look elsewhere to get one added to your Mac after you buy it. Apple has two options to consider when it comes to increasing the performance of its Macs. A short-term tactical play where it catches up with the PC by continuing to make modest upgrades to its existing lineup of Macs, or a long-term strategic play to surpass the competition by boldly stepping away from the component-based chip market all together. Matching the competition – The first option is to simply match the fastest PCs in performance by updating the chips being used inside Apple’s Mac lineup. This tactic of adamantly keeping pace with Intel’s release schedule has been employed by Apple in the past and every other computer vendor to keep making their machines performing slightly faster each year. So long as Apple continues to use off-the-shelf chips from the likes of Intel,(s INTC) AMD,(s AMD) Nvidia(s NVDA) and ATI, Macs will never again be faster than PCs since everyone uses the same exact chips. Surpassing the competition – The other option open for Apple is to follow the same path that it has taken with its mobile chips. That is to optimize the chip specific to Apple’s own software and hardware design specifications. Adding to this strategy, by continuing the complete adoption of Thunderbolt technology, Apple will likely be among the first to adopt Intel’s new Falcon Ridge Thunderbolt controller later this year. And finally with the advent of integrated SSD technology directly on a logic board rather than conforming to a more modular SATA design standard, the design of desktop powerhouse systems should start to change dramatically. Breaking from the modular design that has dominated the top performing computer market for decades now, a radical new design that maximizes the potential of all of these advances in technology is in order. Apple is not only not losing the laptop and desktop speed race versus the PC at the moment, it appears that it’s not even interested in competing in it. Apple’s own marketing shows how its newer hardware is only faster than its older hardware; as old Macs race against new Macs, PCs have meanwhile moved ahead in a race all their own. If Apple truly does want to get back out in front of the PC market, and produce a lineup of Macs or even one Mac that outpaces the fastest PCs available, it will have to leave the off-the-shelf chips behind and show the world how to best take advantage of all of the changes we have seen in technology over the last few years. Taking a chip design and making it your own is not something that just any company can do. Apple has proven that they can do it with ARM-based chips on its mobile platform. The question remains if Apple can successfully pull off the same feat with a chip design that places them in the forefront of desktop processor speed. The reality is that apple didnt come back from the brink of extinction because of their desktop. Their success was ipod, itunes, macbook, iphone, ipad. It was never the mac pro. The reason is simple. The vision and ideals of apple to make sleek, user friendly devices attracts its consumers to the portable lineup. For the most part an ipad or macbook does what they need a computer to do. The ever growing smaller population who demand more from a computing device are less likely to be swayed by things like ‘sleek’ and ‘user friendly’. They want power, compatibility, open ended sources, free platforms, ability to customize, upgrade, tweak. This still belongs to the PC. And a chip today that integrates and surpasses the pc (as suggested by the author here) is only a short term swing at the pc market which constantly evolves every 3 months. There is no speed race between Mac and PC since they both use the same parts from the same companies essentially. I will continue to build my PCs for less money with better parts, performance, and style than Apple has to offer. Heck, I can even run OS X on it if I felt like limiting my desktop software selection and taking a nice hit in the hardware driver compatabilityy/performance area as well. I take question to the Apple first introduced the PowerMac G5 we witnessed the worlds first 64-bit desktop computer. What about the SGI Indy and O2 machines of the 1990’s or how about the Sun Blade boxes of the early 2000’s. I guess you can’t make those points if you want to push and All Things Apple Bias. Apple is dead in the production space and has been for years. FinalCut, Logic, Shake all killed by Apple. Let’s not also forget the QuickTime gamma shift issues that Apple has never bothered to address or that the Apple ProrRes workflow is slower than slow compared to other better systems. Apple is only a consumer products company these days and everyone knows it expect for the person writing this article. When you shop for a new car do you look for one with the greatest engine rpm? And compare it with other cars? Driving on a variety of tracks? That would be asinine, just like focusing on processor speed. I do not personally test drive the cars in such a manner, but I do read reviews written by experts that have. And when purchasing sports cars, I do take such things like horse power, zero to sixty, quarter mile, and top speed into account. I do agree that I would not take notice of such features when purchasing economy cars. This is a n article and discussion predicated on a false assumption that chip speed is what drives computer performance, rather than the operating system. Comparing a PC running Windows to a Mac running OSX should not be done simply on chip speed or number of cores or GPU performance. Software performance is what should be tracked. This is even more important for the mobile OS field. The iPhone and iPad are far more responsive than Android equivalents despite apparently better chips in them. Apple has optimized iOS to be far more efficient in using processor cycles. One additional advantage this confers is better battery life (unless you shoehorn a giant battery into a giant phone which is Samsung’s approach). Raw speed is not important to many everyday computer users, and so I agree with the statements that it is not important to all. For those of us in media production, and for those of you interested in gaming, speed does matter. Unfortunately, Apple now treats both of those market segments as small niches, and thus we are relegated to the back burner of priorities. If Apple won’t play in the speed game, I hope they can do something on the software side that is game changing. By ignoring computers apple gave up 1.4 billion in revenue and 500 million in earnings during the holiday quarter causing a “miss”. Since then apple stock has lost 1/3 or its value. everything in business happens at the margins. To glibly talk about shutting down the mac division means abandoning at least 10% of your business. I for one would not be buying other apple products if I had to go elsewhere for computing. And good luck writing code on your ipad. If I look back over the last 20 years of buying Apple products it’s pretty clear that I spend less per year on apple than I ever have and it’s mostly because their computer line has stagnated and instead of buying machines every 18 months, I’m buying machines every 3 years and instead of buying apple displays and peripherals, I’m buying bare bones apple computers and dell displays and logiteck keyboards and mice, so half of the computer dollars I spend go to another vendor. Regardless of the bad press Windows 8 has gotten (some of it well deserved) I like W8 touch ability, when I want to use it. We just got a Dell 23″ touch screen at work and this thing is cool coupled with W8. I have a standing workstation with a stool and I could totally see me using this monitor with its tilt and just gesturing and using the virtual keyboard for lite typing while I am doing data analysis. Today you can’t do that with OSX. Heck, even ubuntu is working towards greater touch ability. I am not saying that Apple should or should not cont. to pursue their Mac line, they are a company and need to follow the best value for their stockholders and if Mac is not it then they drop it and focus on mobile. It would be a loss to consumers though as competition makes all better. Aren’t the types of chips that go into Mac Pros completely different from what goes in those gaming PCs. Mac Pros are meant for reliability, not just outright speed. Aren’t the current processors Apple is using meant for servers and can be used in multiple processor configurations? I’m fairly certain Apple will never build strictly gaming PCs. It seems to me that the current 12-core configuration Mac Pros should be more than powerful enough for 95% of users on the planet. Apple hates to spend money and they must think that there really isn’t enough of a Mac Pro market out there to even bother with. Apple does things very differently than most companies, meaning they never really build cutting-edge products but stick with a more conservative approach with everything they do. I think that’s the best way to satisfy most consumers and keep profits high. Yes, the Intel Xeon E5-4650 referenced above is in the same processor family as the ones used in today’s Mac Pros. There are also cheaper Xeon processors available today that are still faster than the ones in today’s Mac Pros as well. By simply changing the configuration on the Apple Store to allow for these faster CPUs in today’s Mac Pros would only make the Mac Pros equally as fast as other computers with the same chips, not faster. I agree with this. Apple has always been able to do more with less with the tight coupling of the hardware to the OS. I think this distinction is quickly fading as the compute speeds are surpassing common (thats you and me) human needs and now a Android or Windows 8 PC is just as noticeably speeding in boot and Ops as OSX and iOS devices. Apple needs to look elsewhere for innovation. They have pulled it off in the past, they can do it again and it will be the first real post-Jobs test of Apple and crew. People still care about speed today? Even the cheapest computer is fast enough for most people, and if it’s not, for most tasks an SSD would be the solution. Stated differently, I don’t think that many people care about uses that are extremely CPU intensive. There are a few such people, but very few. While I certainly do care, you are correct that most do not. I did look around to see if there were still any speed tests being conducted that compare Macs to PCs. There are no such comparisons being made. PCs are compared to PCs, and Macs are compared to Macs. Macworld has a decent history of up to date benchmark results as well. But again they only compare older Macs to newer ones. The race between Macs and PCs is all but forgotten. I agree. Because I work in IT, I have people come to me with their computing questions outside of work and I just consulted a photographer using Photoshop on her laptop. Her husband suggested a Mac (which he uses) but I said why pay for new hardware AND new licensing for Photoshop, just put in a SSD drive. Heck, she was working off a plugged in USB harddrive over USB2 bus and I said baring getting that SSD, just transfer you work ahead of the time to the internal laptop while your doing something else, work on the photos, then transfer them back. Now of couse her backup methodology has be cringing but that is anther post altogether. In other words, you don’t always have to spend money to get the faster and faster system to do what you need to do. You can get an SSD or memory or load Linux with GIMP, etc. to be 20 Mbs but Intel only delivered 10. Plus Retina screen 4K wasn’t really ready until this year. The real revolution that yet to come is Hybrid Memory Cube. If Apple could get this first chips for that. it would be game over for PCs but this also requires Intel to come with Chips to match the new memory. iMac chips TDP is 85W while Mac Pro is 135W. modular otherwise it will stay the same except for no more optical media bay. Macs are just PCs now with more restrictions and less open drivers. Anything that Macs get, PCs can get if there is demand for them other then proprietary. Note, this is not a bash on Macs, I am typing this on my iMac 27″ all in one and I would take this machine over any other. But there is no longer a “game over” in this race, they are all using the same supply channels and vendors. You do realize that Apple is getting stomped by in the mobile space when it comes to performance as well, right? I would most definitely NOT point to that as an example of what they should be doing on the PC side. Lets chat when the “current” 5S arrives with whatever Samsung has on the market at that point… You can expect at least 2x the current performance levels. The point being that Apple is in the mobile chip race. Not winning is no reason to stop racing. When it comes to computers, Apple is not even in the race. While I certainly want them to keep racing, the question for Apple is where does the next big thing in growth come from. I’m personally a Mac Pro user and it saddens me that Apple has pretty much abandoned that market, but everyone is heading the way of small mobile computing solutions that are always on and always around/wearable as the trend in computing. Its only in the server space, which Apple left long ago, that there is any real innovation taking place. For everyday users, pretty much any PC they already have is already fast enough to do all the tasks they want. For gamers, there is a need for faster and faster systems, but that market is actually pretty small compared to that of consoles and mobiles – thus the trend that we currently see with the migration away from the desktop in general. The trend is for computing power to be off loaded to the cloud or VDI and the terminal only for local computing needs and interface. My enterprise has engineers in India using our ProE CAD system on VDI spinning on a VMWare farm in the states. The graphics cards are plugged into the VMWare blades. Why buy thousands of dollars on computer hardware when you can buy thousands in computing cycles in the cloud. This is not today, solutions like Microsofts Azure are only just getting to the point of providing workstation OSs on the cloud, but it is the trend and in the next 5-10 years will be rather typical. Won’t matter what you connect to this VDI with; slate, VR, Xbox, etc. Apple designing their own chips for desktops/notebooks would result in an even greater gap in performance, something on the order of 5X between the Intel processor and Apple’s chip. They should close their Mac division rather that do that. Let’s hope Apple does not pull out entirely. I did not even think to list that as an option. But you are correct, it is an option.